A Lake County Sheriff's deputy has been charged with misconduct after authorities said he failed to investigate a domestic altercation. 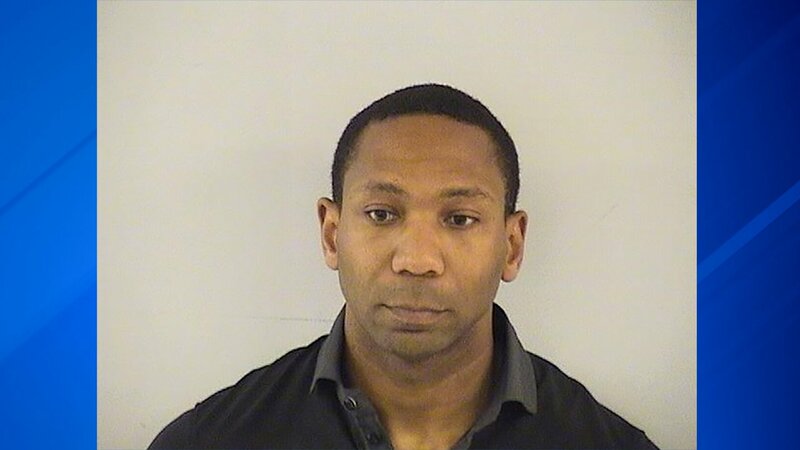 A warrant was issued for Lake County Sheriff's Deputy Leonard Patterson on Thursday on four counts of official misconduct. Patterson surrendered to authorities Friday morning. The Lake County Sheriff's Office said on Nov. 5, 2017, Patterson was on-duty and was dispatched to meet Waukegan police officers at the scene of a domestic altercation that originated in the sheriff's office jurisdiction. Waukegan police said two people were traveling in the area of Green Bay Road and York House Road in Beach Park. The male driver struck the female passenger in the face and eventually pulled the vehicle into a parking lot in the 2900-block of Belvidere Road in Waukegan, police said. The victim exited the vehicle and asked a good Samaritan for help. Waukegan police arrived at the scene and requested that sheriff's deputies respond since the battery occurred in their jurisdiction. The sheriff's office said Deputy Patterson arrived at the scene and failed to conduct any sort of investigation or speak with any of the parties involved in the domestic altercation. Patterson did not provide aid to the victim and encouraged her to back into the car with the suspect and leave the scene. Upon learning of the matter, Lake County Sheriff Mark Curran ordered an internal investigation and Patterson was placed on leave and relieved of his administrative powers. Detectives concluded that Patterson failed to arrest the abusing party, failed to offer the victim of abuse adequate information, failed to provide the victim with any referral to an accessible service agency and failed to make a written police report. The Lake County State's Attorney's Office reviews the charges and an arrest warrant was signed by a Lake County judge. Patterson was hired as a police officer in December of 2008 and disciplinary proceedings regarding his employment status are ongoing. Patterson appeared in court and was released from jail after posting bail. He is scheduled to appear in court on April 5.